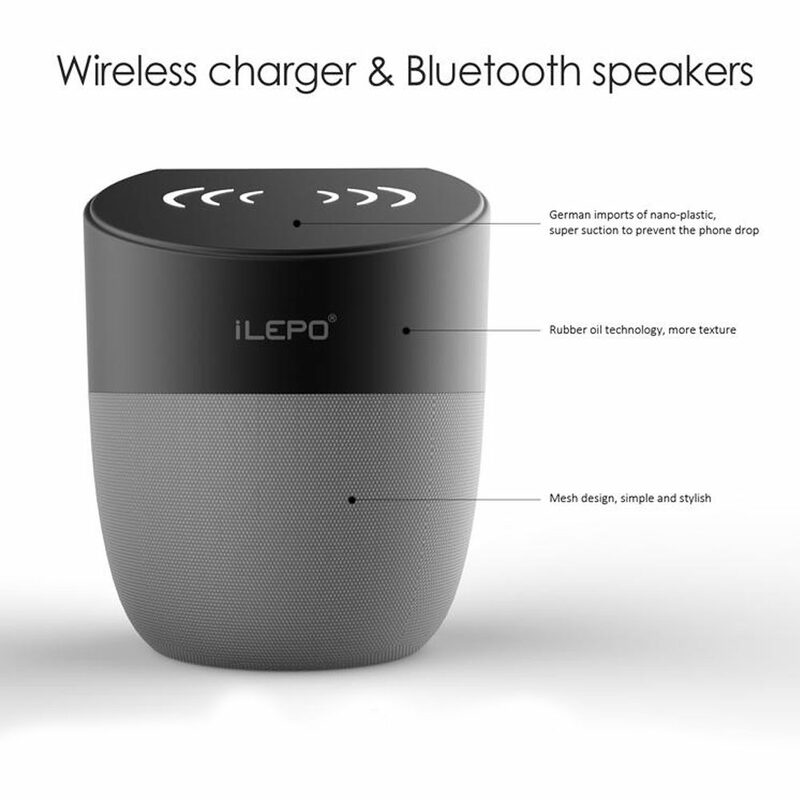 The iLepo Multi-functional Wireless Charger, Bluetooth Speaker & Phone Holder has 6-7 hours Playtime and can be used as a Qi Charging Station for iPhone X, iPhone 8 Plus, Samsung Galaxy Note Edge and All Qi-Enabled Devices. 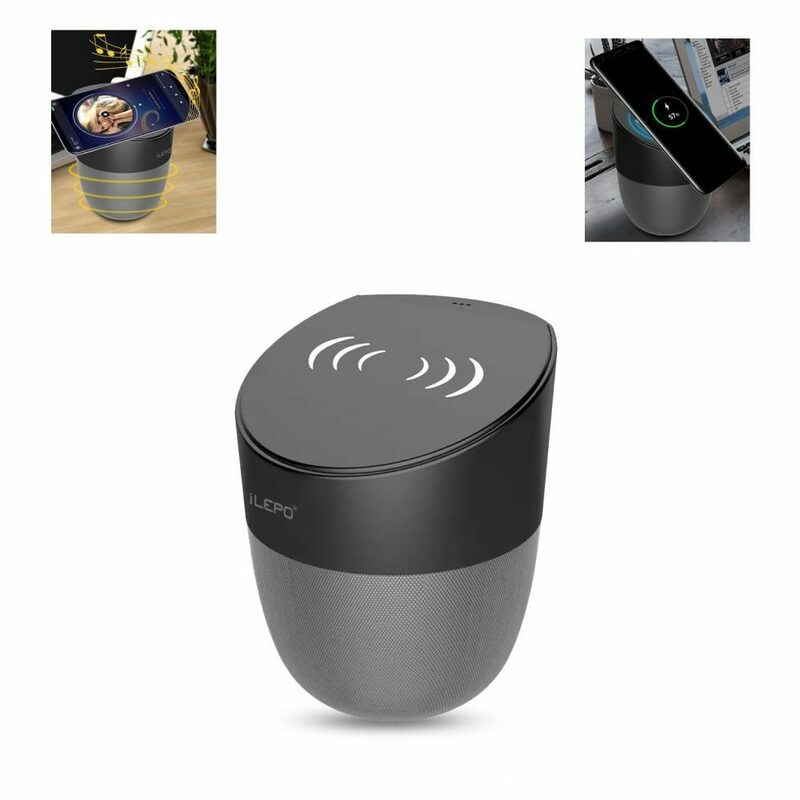 Nano-Inclined phone holder- hands-free, easy to use, unique Cylindrical shape & amp, decorative colors are great for home, office or on the go. Enjoy stereo music from two iLepo A1 speakers simultaneously. 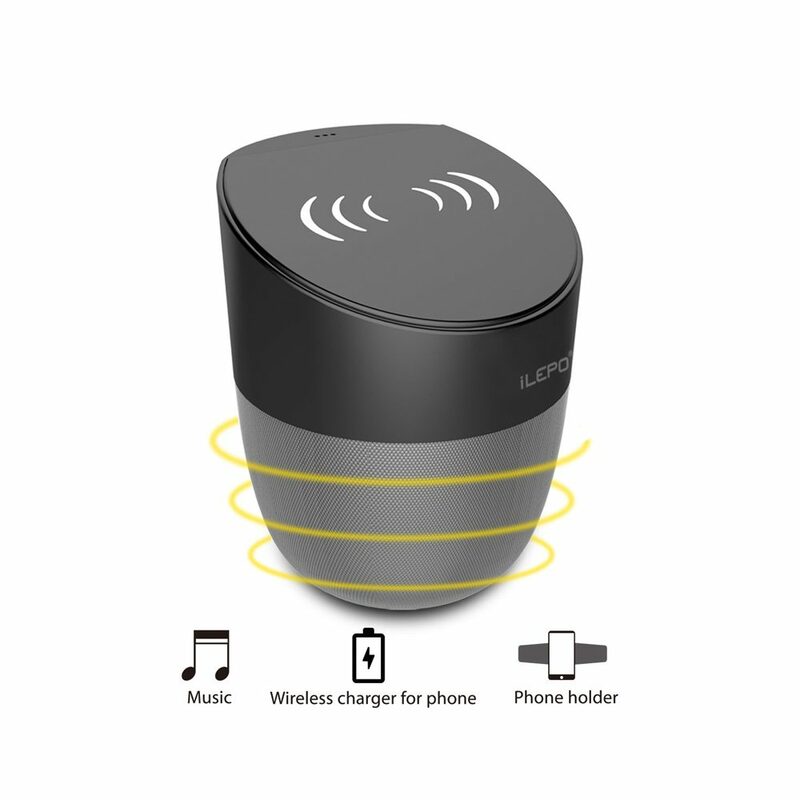 wireless charging, power supply for your mobile phone anywhere, no cables or USB interface required. 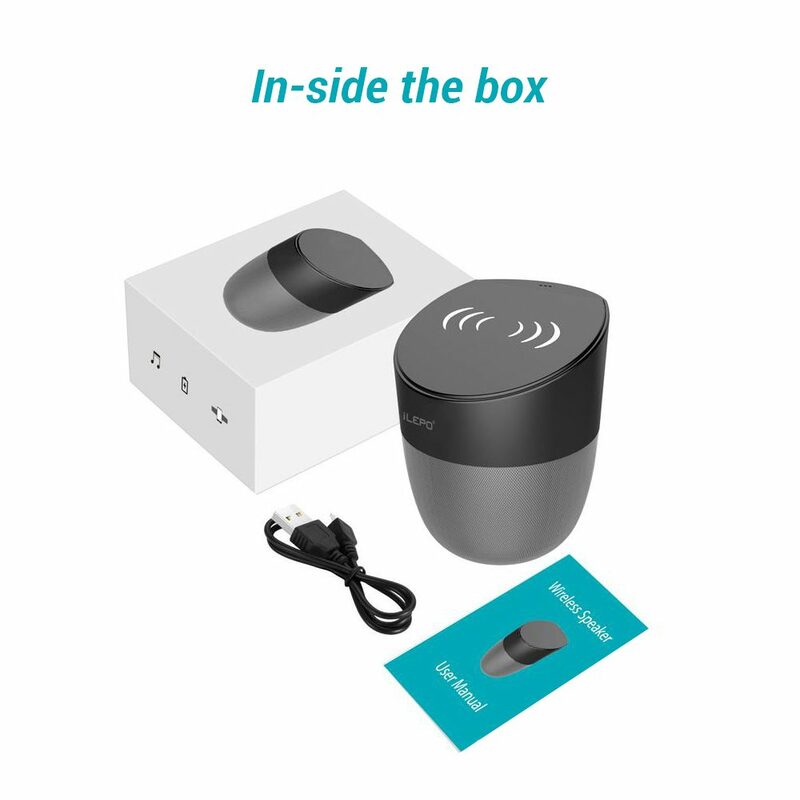 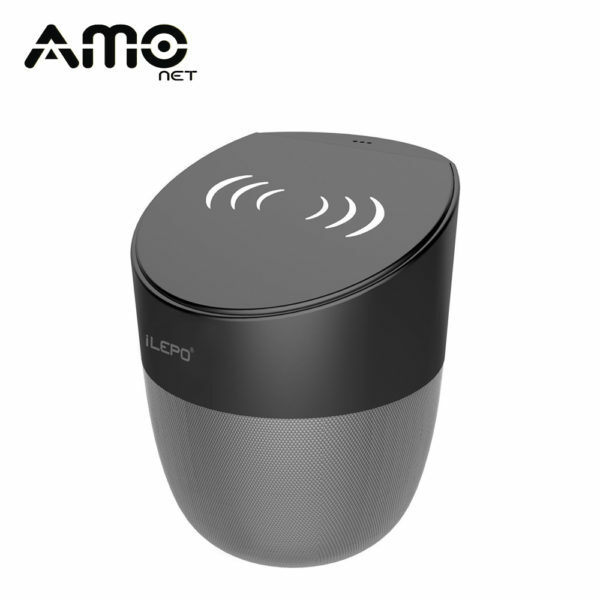 Wireless speaker, plays wonderful music and quality audio output when watching a movie to make you enjoy your home entertainment and wonderful journey. Powerful wireless speaker has the crystal clear tweeters and powerful bass, compatible with all bluetooth-enabled devices. 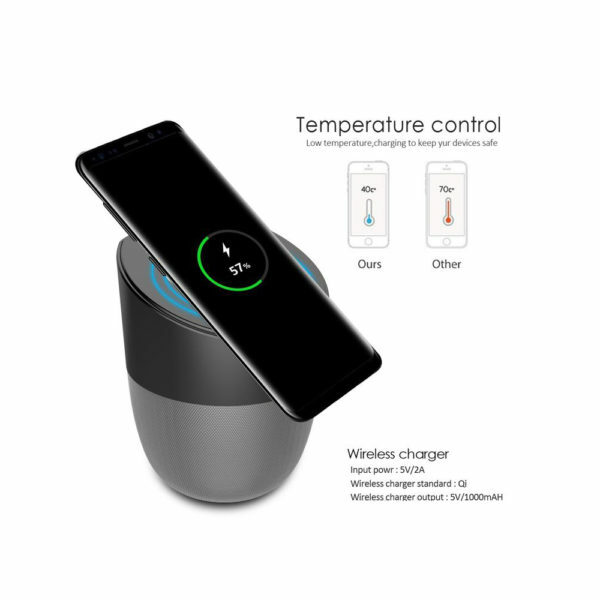 3-4 hours for a full charge at standard wireless charging speeds.